In defiance of a 1963 law forbidding foreign journalists entry to West Papua, Dutch journalist Rohan Radheya has over the past years travelled into the region several times, and is one of very few foreign journalists able to do so. Well aware of the risks of being caught Radheya embarked on a new journey to West Papua last month and while he was there, on 10 May 2015, Indonesian President Joko Widodo announced that the controversial ban on foreign journalists’ entry to West Papua would be lifted. Radheya shared his experiences and opinions about the lifting of the ban with UNPO. 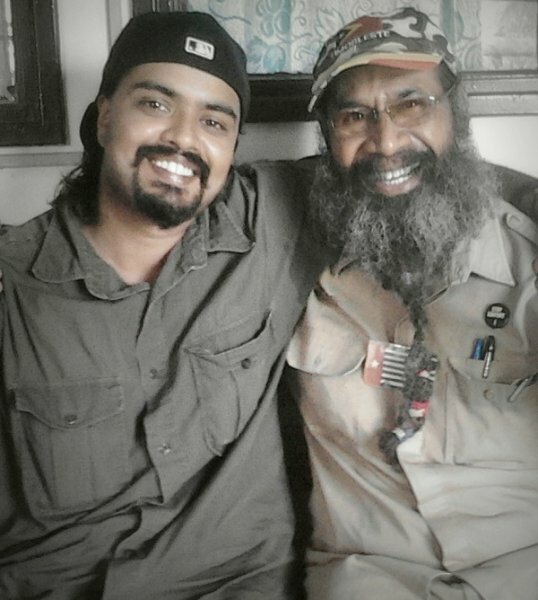 In May 2015, Rohan Radheya travelled to West Papua as an undercover journalist with the aim of meeting with several political prisoners and visiting the headquarters of the Organisasi Papua Merdeka or Free Papua Movement (OPM). According to Simon Sapioper, acting President of the National Government of the Republic of West Papua (NGRWP), journalists like Radheya are facing multiple risks travelling to West Papua as undercover journalists on a tourist visa, including imprisonment if they are caught. Foreign journalists have been banned from entering West Papua since 1963, the year in which Indonesia occupied the region. On 10 May 2015, during his three-day visit to West Papua, however, President Joko Widodo announced a lifting of this ban, stressing that foreign journalists would be able to enter the region from that day onwards. Radheya just happened to be in the region during Jokowi’s announcement. Despite this seemingly positive step, Radheya remained wary telling UNPO that no one in West Papua believes in Jokowi’s promises to allow press freedom in the region. He further highlighted that a long list of criteria which foreign journalists wishing to enter West Papua have to fulfill was published directly after the ban was lifted. These demands include the prohibition of negative and critical news about the Indonesian government. Besides, foreign journalists would still be subjected to a ‘screening’ and those who report biased or imbalanced news would be penalized. According to Radheya, one could even argue that the Indonesian government is making it more difficult to report from West Papua: ‘’First they banned foreign journalists and now they even want to control our reporting,’’ he told UNPO. Moreover, he believes that the current media accreditation offered by the Indonesian government will only make it harder for foreign journalists to operate inside West Papua, as it will enable the authorities to easily monitor the movement of foreign journalists in the region. During his most recent visit to West Papua, Radheya had the opportunity to interview political prisoners, among them Filep Karma, who currently is imprisoned in the Abepura prison. Karma, who has been declared a prisoner of conscience by Amnesty International and who is nominated for the Nobel Peace Prize, told Radheya that he remembers the first time he was beaten in prison. Moreover, like many others, he was not granted a free and fair trial. Following his stay in West Papua, Radheya headed to neighboring Papua New Guinea, where he is currently preparing a documentary about the lives of the thousands of West Papuan refugees living in the Lowara refugee camp. Most of the West Papuans living in the camps fled the political persecution in their home country in the 1970s and 80s.